On the top floor of the Aq Saray or the White Palace hotel in Ürümchi is a massive reproduction of Napoleon Crossing the Alps by Jacques-Louis David. He is flanked on his left by a reproduction of Ivan Kramskoi’s Portrait of an Unknown Woman (which everyone associates with Anna Karenina). 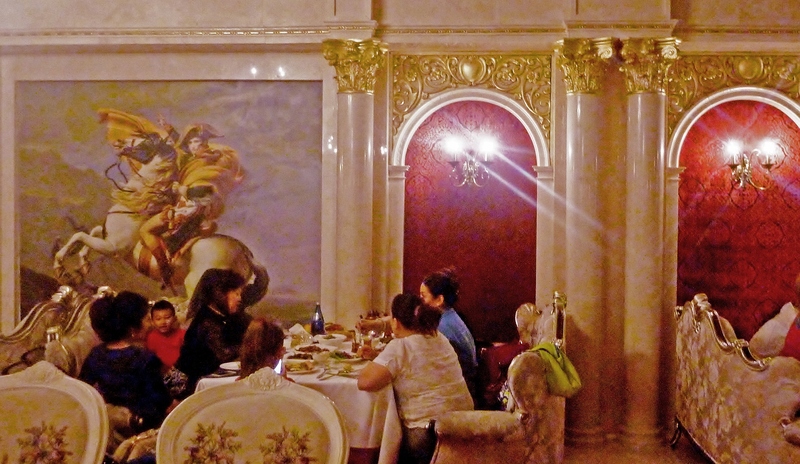 Across the expansive red room, otherwise decorated in the style of a Russian tea room, gigantic reproductions of Venetian canals and cityscapes fill out the walls. Overhead murals of clouds, star constellations, and pheasants in flight glow against the ornate heavy white archways that surround them. The paintings are the works of Dilmurat Abdukadir– who was hired by the owner of the restaurant to produce life-sized images of paintings the owner had found on the Internet. The space is fascinating. Not only does it unapologetically embrace an amalgam of European aesthetics, but it is symptomatic of larger trends in Uyghur restaurant politics and aesthetics. Somewhere around 2008, scholars began to notice that Turkish imports were on the rise in Xinjiang. Suddenly chocolates from the massive Turkish food conglomerate Ülker could be found everywhere; Turkish coffee products from Mahmood began to replace Nescafe. Advertisements for Turkish products endorsed by celebrity Uyghurs like Abdulla began to saturate the Uyghur language television. Non-Chinese products were suddenly the products of choice for middle-class consumers. In the years since then, the Uyghur food industry has changed in significant ways. As Uyghurs lost more and more control over the architecture of their built environment, the interior spaces of restaurants became a space of potential. Inspired by what they had seen on trips to Turkey and Europe, the new class of food importers and restaurateurs began to transform the more traditional opulence of Uyghur banquet halls into spaces whose aesthetic was borrowed at least in part from someplace else. As one of the leaders in the Uyghur contemporary art scene, Dilmurat’s passion for art as a-way-of-life seems unmatched. 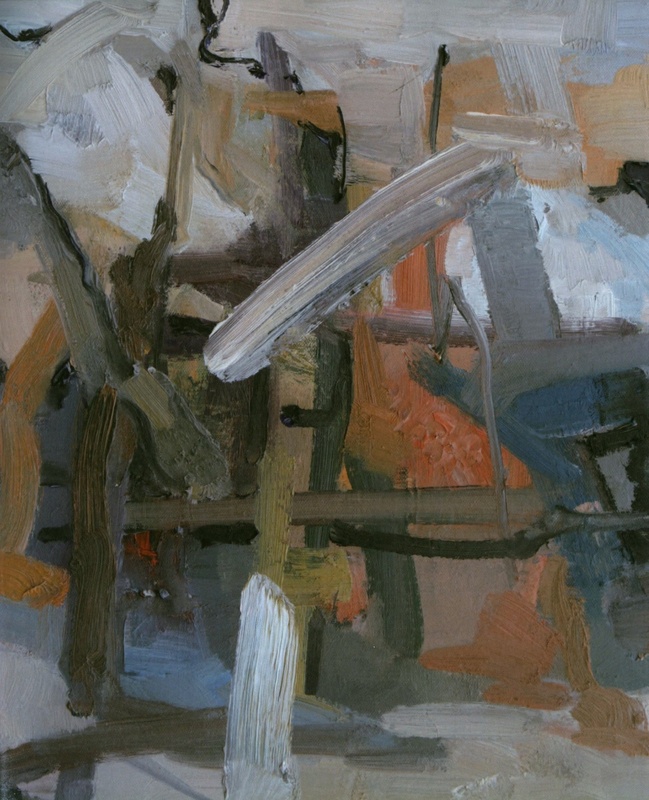 He reads Nietzsche and talks about how true art is the “real expression of the artist” and that the most important thing is that “the artist gets some enjoyment out of it, that it feels good for him.” Despite their marginalization, Dilmurat and his group of contemporary artists still keep painting – if not for recognition than for themselves. That practice and the friendships that emerge out of it are one of the things that give their lives meaning.